MACH Energy Australia was established to acquire the world class Mount Pleasant thermal coal project from Rio Tinto in 2015. 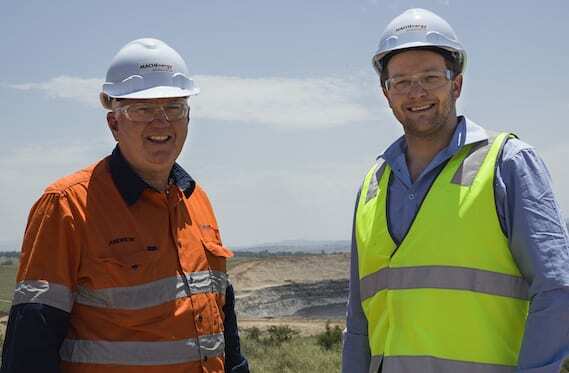 In 2018, MACH Energy formed the Mount Pleasant Joint Venture with Japan Coal Development Australia Pty Ltd (JCDA) acquiring five percent. JCDA, the wholly-owned Australian subsidiary of Japanese Coal Development (JCD) secures stable supplies of high quality thermal coal for high quality low emission thermal coal plants. The Mount Pleasant Operation currently operates on a seven-day roster from 7am to 7pm. 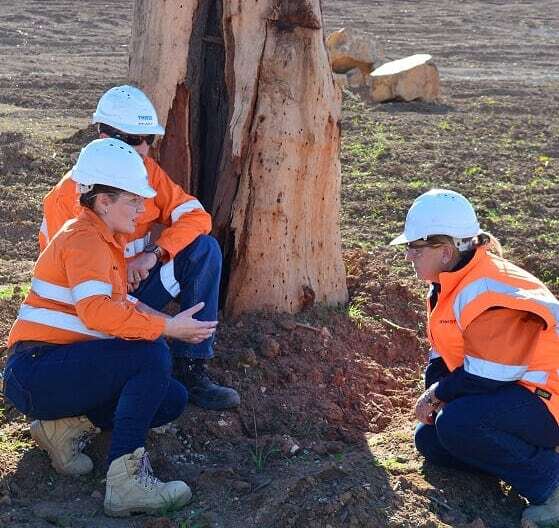 “We have had an amazing opportunity through this diverse project to grow as a group and a company, both technically and by size.” Chris Nixon, NSW Survey Manager & Registered Mine Surveyor, Fyfe. When did construction begin at Mount Pleasant? Construction at the Mount Pleasant Operation commenced in late November 2016. The scope of works included constructing a new coal preparation plant, rail loop, mine infrastructure area, water management system and supporting facilities. Who will provide mining services at the Mount Pleasant Operation? 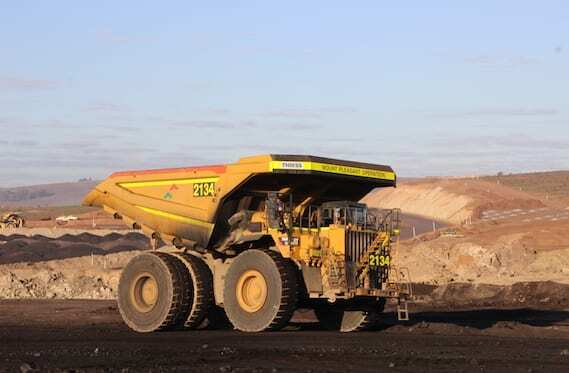 Thiess will be responsible for operating the mine for five years. Read more here. What is the quality of the coal at Mount Pleasant? The geology at the Mount Pleasant Operation is well understood and the technical risks are considered low. In addition to Mount Pleasant’s existing recoverable reserves, there is potential to convert additional coal resources into reserves. The Mount Pleasant Operation is characterised by a low strip ratio and high processing yield. As such, Mount Pleasant’s leases contain some of the most attractive coal resources in the Hunter Valley coalfields. The Mount Pleasant Operation is approved to produce up to 10.5 million tonnes of run of mine (ROM) thermal coal for international markets. After being washed and prepared for sale, Mount Pleasant coal will be loaded onto trains for transportation to coal terminals in Newcastle for shipping to international customers. Due to its high quality and low impurities, the Mount Pleasant Operation is targeting clean energy coal that will be used in some of the world’s most advanced and highly efficient power plants, enabling lower global emissions and facilitating the transition to a low emissions economy. The Mount Pleasant deposit has total marketable reserves of 474 million tonnes of thermal coal for export markets. 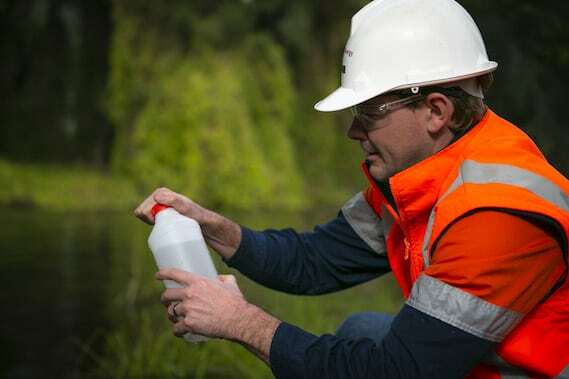 Environmental management is an integral part of our business. We manage any activities that can have an impact on the environment. Strategies are designed to efficiently manage environmental issues; ensure compliance with regulatory requirements; continually improve environmental performance; satisfy the expectations of stakeholders and the local community. 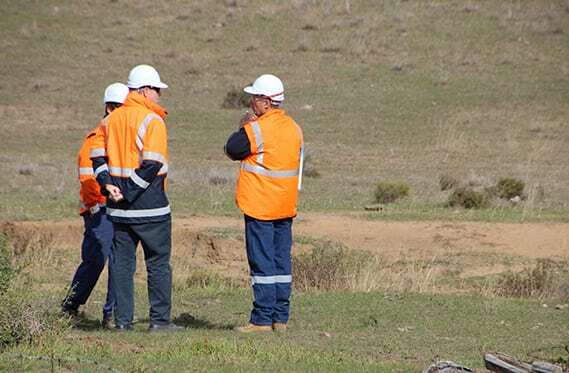 Environmental procedures have been established, documented and maintained for all mining related activities that have a potentially significant impact on the environment. Procedures provide details of operation and maintenance of facilities, equipment and machinery where required. A schedule of environmental objectives and targets will be maintained. Compliance and conformance is monitored through internal inspections, environmental audits, external certification audits of systems, compliance audits and audits by statutory authorities, and the results of routine compliance monitoring. The regional landscape surrounding the project is dominated by existing mining and industrial activities interspersed with agricultural and pastoral land uses and areas of remnant woodland. The landscape within the site is surmounted by the peak of Mount Pleasant at an elevation of 368m and the radiating drainage lines from this peak have formed a series of well-modulated ridges. One of the mitigating measures for the change to visual amenity is a commitment to plant trees and develop vegetated bunds from roadside viewpoints to screen the operation and maximise roadside safety. Tree screen planting commenced at the project area in 2003 with planting of trees along key roads and is ongoing as the project is developed. Long term unattended and short-term attended noise monitoring has been undertaken since 2006 and continues on a quarterly basis as part of the project’s on-going baseline surveys. This provides targeted qualitative and quantitative information on existing noise levels for surrounding residential areas to the project. All reasonable and feasible noise mitigation measures have been implemented to minimise noise impacts; as determined by standard practices and expectations from regulators. Land‐use near the project includes coal mining, grazing, viticulture and rural residential holdings. Other features of interest to air quality include the Hunter River Valley which flows in a general north to south alignment in this area, and intersects with the general north‐west to south‐east alignment of the Hunter Valley. The valley gives rise to the distinct channelling of winds along this axis that is prevalent in much of the area. The local topography plays an important role in steering and channelling the wind, generating turbulence and large-scale eddies. Other influences in the valley include the night‐time drainage flows (katabatic winds) that transport air from the mountains down across the valley as well as the daytime flows that transport the air back upslope. Dust in the vicinity of the Mount Pleasant Operation is monitored by a series of dust gauges that measure deposited dust on a monthly basis. Real-time monitoring equipment monitors all on-site dust-generating activities within the Operation’s boundary and cumulative air quality impacts from the project and other locations. This monitoring will be used to modify the activities occurring on site to ensure that any regional air quality exceedances are not the result from the small contribution arising from the Mount Pleasant Operation. Baseline surface water monitoring has been undertaken at the project for many years to benchmark natural variations in surface water quality. Surface water monitoring data has been obtained with in situ measurements of water quality parameters including electrical conductivity (EC), pH and total suspended solids (TSS). Surface water, erosion and sediment control requirements will be monitored and managed according to regulatory requirements and applicable standards and guidelines. 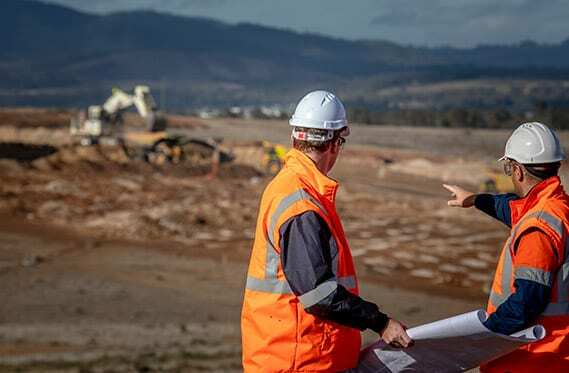 Site water supply options and strategies for minimising water use have all been considered during the design process for the Mount Pleasant Project, and will continue to be monitored and managed appropriately according to requirements. Managing waste correctly can result in benefits such as reducing contamination of landfills, prolonging the life of landfills, and reducing the costs associated with disposal. There will be no landfill developed on site, and all wastes will be removed from site and disposed of at relevant licenced facilities. The project will engage a licenced contractor to provide waste management services. Waste is segregated at source, and stored and transported appropriately. The segregation of waste ensures different waste streams are appropriately managed based on their level of risk to the environment, and in accordance with any legal requirements. Segregation at source reduces the contamination of waste streams, improves the ease of storage, handling, disposal and tracking, and reduces the potential disposal costs for some items.